Johnston, Iowa is a happy and thriving community. It ranks 19% higher than the national average when it comes to overall quality of life. From 2000 to 2010, the population of Johnston, Iowa experienced a nearly 100% increase. Thanks to the businesses that call Johnston home, the local economy has remained strong through the years. Among the many thriving businesses in the community are the Pioneer Hi-Bred Seeds headquarters and the Des Moines Weather Forecast Office of the National Weather Service. In addition to the city’s corporate presence, it also contains a couple of Iowa’s historical landmarks. Camp Dodge, the headquarters of the Iowa National Guard, and Frank Lloyd Wright’s Paul J. and Ida Trier House are located in Johnston. According to the 2016 census, Johnston’s population is 20,460. For nearly two decades, the population has experienced continual growth. And the growth isn’t projected to slow down. Johnston’s community is projected to increase to 27,135 people by 2030. Of Johnston’s 20,000+ residents, the average household income is $115,348. Its population is comprised of 90.8% White, 3.9% Asian, and 2.17% Hispanic. 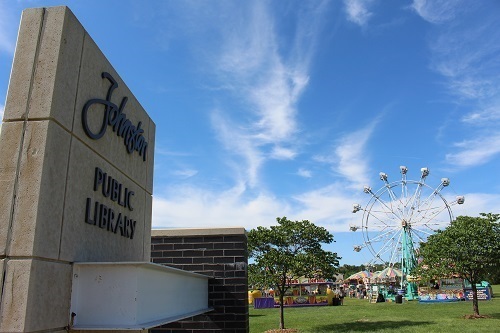 Similar to many nearby communities, Johnston places a strong emphasis on education. 70% of the adult residents are high school graduates or higher. In 2010, President Obama’s National Teacher of the Year was a Johnston High School English teacher. According to U.S. News, Johnston Senior High School is ranked 9th within the state of Iowa. The high school maintains a 96% graduation rate. With convenient access to Interstate 80, many restaurants around the Des Moines metro are accessible from Johnston. But Johnston residents have plenty of options to choose from in their own front yard.